In most places in the world, today's date is written 9-11, for it is the 9th day of November. Three male bombers (allegedly all Iraqis) and 57 bystanders were killed at three hotels - the Grand Hyatt Hotel, the Radisson SAS Hotel, and the Days Inn - in Amman, Jordan, on 9 November 2005. Al-Qaeda in Iraq immediately claimed responsibility for the attack. Today is the 10th anniversary of that event. On 9 November 2015, a Jordanian police officer picked this day to kill two American contractors and a South African contractor at King Abdullah Special Operations Training Center near the capital, Amman, Jordan's official Petra news agency reported. The gunman had been fired. Four Jordanians and two American were also wounded in today's incident. Jordanian security forces killed the shooter. No members of the U.S. military, who cycle through the training center, were involved in the shooting, the U.S. official said. "We are in contact with the appropriate Jordanian authorities, who have offered their full support," a U.S. Embassy spokesman in Jordan told CNN. "We will report more information when available and appropriate." This date, 9 November, is also the traditional date, in 1989, tied to the "Fall of the Berlin Wall." On another the 9th of November, in 1965, the Catholic Worker Movement member Roger Allen LaPorte, protesting against the Vietnam War, set himself on fire in front of the United Nations building. On 9 November 694, at the Seventeenth Council of Toledo, Egica, a king of the Visigoths of Hispania, accused the Jews of aiding Muslims, sentencing all Jews to slavery. Thanks for the 9/11 date linked to the Council of Toledo, of which I was unaware. Here’s another one: 9 November 1938 — Kristallnacht (a.k.a. “The Night of Broken Glass”) — when many Judaic businesses and synagogues were attacked in Germany. Yesterday, there was a deadly car-crash between a church-bus and a pickup-truck in Hyattsville, Maryland. 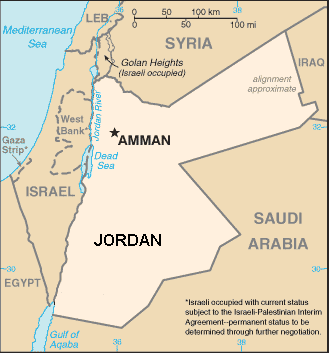 The 2005 Amman Bombing, i.e. the original of this copycat, took place at the Grand Hyatt Hotel. Hyatt is kabbalistically identical to Fayette. Two of the victims in the car-crash were Santiago Merche and his wife Elba Merche. Santiago is St. James the Greater, the first Christian martyr according to Roman Catholic tradition. Elba means "queen of the mountain". at the base of which is St. Catherine's Monastery. St. Catherine was also an early martyr, said to have survived an attempt at death by the "Catherine Wheel". These omens do not bode well for Christians in the Middle East.